Norwegian Society for Protection of Animals (Dyrebeskyttelsen Norge) and Network for Animal Freedom (Nettverk for Dyrs Frihet) have in recent years uncovered numerous and severe violations of the law, as well as wounded and suffering animals, on more than 200 Norwegian fur farms. For the first time in its history, the Norwegian fur industry has been the subject of an extensive, independent, in-depth investigation. 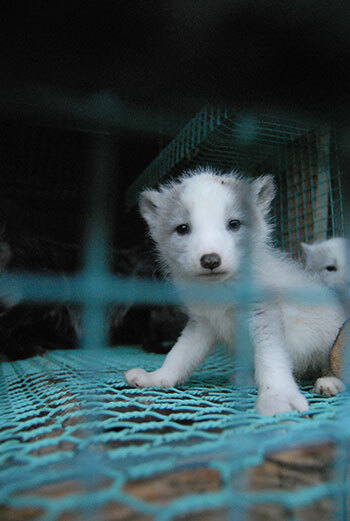 The evidence gathered during the investigations has created a vigorous debate among the public, and politicians are now debating whether the fur farms should be abolished. In the summer of 2008, we decided that it was time for us to see with our own eyes the actual conditions on Norwegian fur farms. Up until then, the people of the fur industry had done everything within their power to portray the industry as legitimate. The criticism of fur farming had already been going on for years, but there wasn’t much information about the actual conditions inside the fur farms available to the public. In 2002, the fur farms were given a ten year deadline by the Norwegian Parliament (Stortinget) to significantly improve the welfare of the fur animals. If they failed to do so, the government would consider a ban on fur farming.1 However, we highly doubted that the reality for animals inside the farms would ever come into light unless we made it happen ourselves. Equipped with cameras, measuring tapes and inspection forms, we travelled to all of Norway's counties where fur farms existed. We already knew that animals suffer inside the cramped cages, but none of us were prepared for the horrible sight awaiting us inside the fur farms. We witnessed animals that were running back and forth repetitively in their cages, animals with open wounds, some with chewed off body parts, and dead offspring, amongst other. We realized that it was about time that the public got to know the truth about the living conditions of the animals inside the fur farms. One of the many animals we met inside the fur farms. The fur industry tries explain away our findings at the farms, by claiming that it only shows a few frivolous fur farmers. However, we have uncovered animals with severe behavioral disturbances and injuries at the fur farm owned by the leader of the Norwegian Fur Breeders’ Association (Norges Pelsdyrsalslag)7, and at fur farms owned by several of the regional leaders throughout the country. We’ve also uncovered an extensive amount of law violations and severely wounded animals at the farm owned by the largest mink breeder in Norway.8,9,10 Footage from the fur farms owned by leaders in the Norwegian fur farm association is available here. 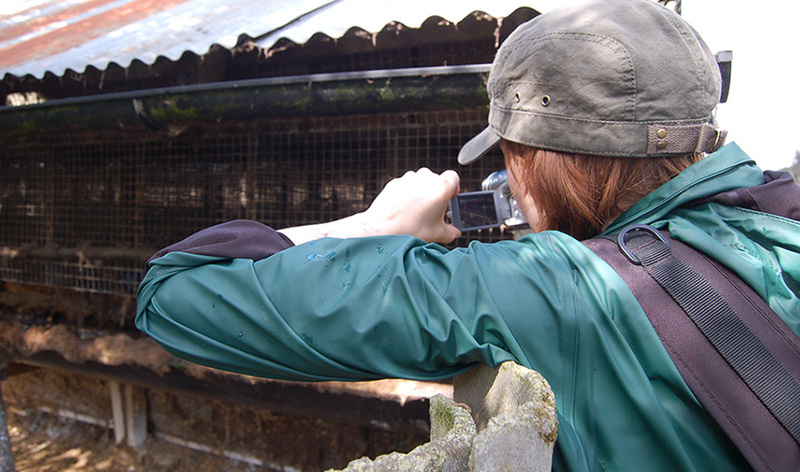 We are continously working to make information about fur farming available through the production of documentaries, distribution of leaflets, and protests and information stalls throughout the country. In addition we’re working with the media, sending out press releases, contacting newsrooms across the country, making out footage publicly available and participating in public debates. One of our main objectives has been to influence the Labour Party (Arbeiderpartiet), one of the largest political parties, to vote in favor of a ban on fur farming. Therefore it was a huge victory, and a big step in the right direction, when the Labour Party, at their 2011 Party Congress, voted to end fur farming. And in 2013 the party committed to work towards the abolition of fur farming. 1) Report no.12 to the Storting (2002-2003): Concerning farm animal welfare. 2) Poll by Norstat on behalf of NRK, published 26.10.2012. 3) Norwegian Society for Protection of Animals and Network for Animal Freedom: En undersøkelse av Mattilsynets tilsyn Med pelsdyrnæringen, 2011. 4) Lars Peder Brekk to NRK, published 11.11.2010: http://www.nrk.no/norge/_-skuffet-etter-pelsdyravsloringer-1.7378056 (Retrieved 21.10.14). 5) Kristina Landsverk, supervising CEO of the Norwegian Food Safety Authority, to NRK, Published 1.11.2010: http://www.nrk.no/norge/mattilsynet-kommer-_aldri_-uanmeldt-1.7362726. 6) Ole Fjetland, assisting supervising CEO of the Norwegian Food Safety Authority, on NRK dagsrevyen 17.6.2012: http://tv.nrk.no/serie/dagsrevyen/NNFA03061712/17-06-2012#t=11m58s. 7) NRK Dagsrevyen 11.11.2010: http://www.nrk.no/nett-tv/indeks/237654/. 8) Pictures from the farm owned by the largest mink breeder in Norway, 2010: Https://www.flickr.com/photos/dyrsfrihet/sets/72157625259760656/. 9) Photos from the farm owned by the largest mink breeder in Norway, 2012: https://www.flickr.com/photos/dyrsfrihet/sets/72157631842211820/. 10) NRK Dagsrevyen, 25.10.2012: http://tv.nrk.no/serie/dagsrevyen/NNFA19102512/25-10-2012#t=5m53s. 11) Resolution by the central board of The Norwegian Veterinary Association 2009.